(TORONTO, ON – October 13, 2015) In its fourth generation, the Toyota Prius is set to take on new markets with groundbreaking environmental performance, a bold new design, and a fun-to-drive spirit. 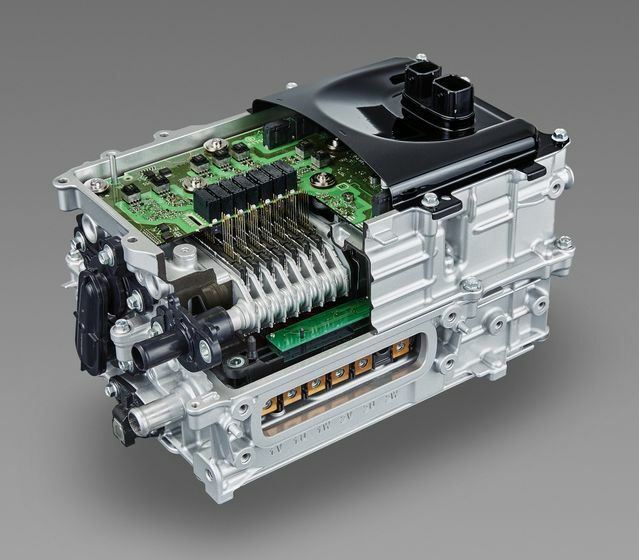 Today, Toyota is proud to unveil the technological advances that enable its hybrid flagship to break the mold while still remaining true to form. More than nine million gasoline-electric hybrid cars are in service throughout the world. Toyota-made vehicles account for eight million of them, and the Prius makes up half of Toyota's total. The vehicle which just 18 years ago set out to be a forerunner of a new era of automotive environmental consciousness has quickly become mainstream. There's no doubt that the Prius sparked a revolution. When it went on sale in 1997 (2000 in Canada), it was the world's first mass-produced full-hybrid vehicle. In 2003, the second-generation model revolutionized the eco-car market again with its focus on improved fuel efficiency and distinctive triangular silhouette. Having already brought hybrids into the mainstream, the Prius made significant progress in fuel efficiency in its third generation. The fourth-generation Prius builds on the environmentally-friendly credentials of its predecessors. Today, however, many automakers offer alternative energy vehicles, in part because Toyota made its technology available to promote uptake of the concept. Environmental performance alone is no longer enough to truly make a car stand out in a now-crowded segment. That's why Toyota rebuilt the Prius from the ground up, broadening the car's appeal by overhauling its design, improving performance, and adding personal touches both inside and out, under the developmental concept of "a beautiful car for a beautiful Earth." The result: a sleeker, sportier form that elicits an emotional response from the outset; an interior designed to pamper its occupants; a fun driving experience with plenty of excitement; advanced safety functions. 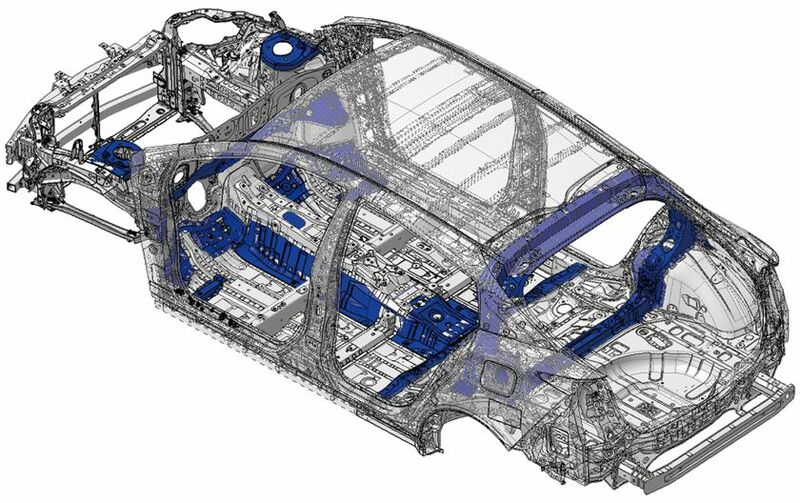 Central to many of these advances is the Toyota New Global Architecture (TNGA), an innovative, integrated development program for powertrain components and vehicle platforms, which enabled the car's technical engineers to achieve their performance goals. In other words, the all-new Prius has everything it needs to remain a segment leader and a pioneer, offering improved environmental performance in a more compelling, comfortable, responsive and engaging package than ever. Following its unveiling in Las Vegas last month, the all-new Prius will go on display from October 28 at the Tokyo Motor Show, and is slated to go on sale in Japan in December. Based on Toyota's Iconic Human-tech design philosophy of fusing emotional and rational vehicle factors, the exterior of the all-new Prius hints at the car's advanced functions while also expressing its fun-to-drive spirit, creating an instant and lasting impression. 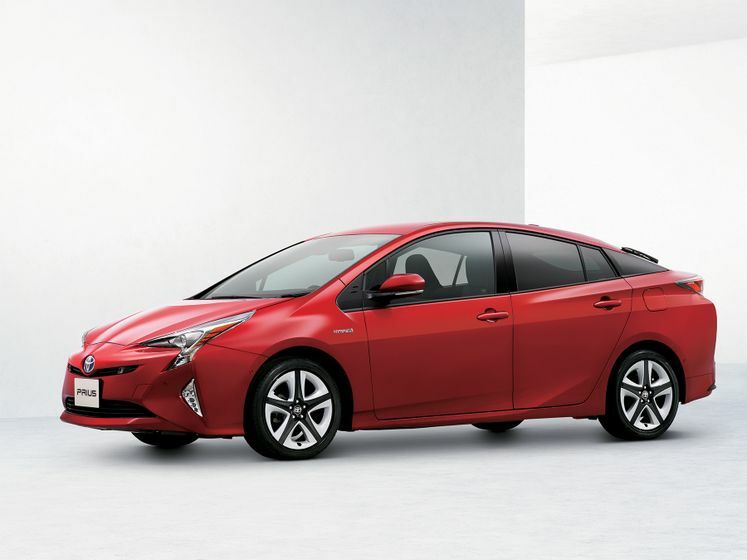 The Prius' signature triangular silhouette begins with the Toyota emblem, continues along the lower hood and sweeps over the top of the cabin towards the rear wing. The rocker panel features a distinctive light-catching surface that begins at the lowest part of the front bumper and under the door, then races upward to accentuate the car's low-slung stance. Completing the triangle is the beltline, which is angled lower and forward for a sense of motion, creating an advanced structure in which the glasshouse intersects with the body for a unified yet aggressive appearance. Together, these design elements contribute to the aggressive, front-flowing feel of the exterior. In redesigning the Prius, Toyota has moved the peak of the roof forward by 170 mm and lowered the car's maximum height by 20 mm. 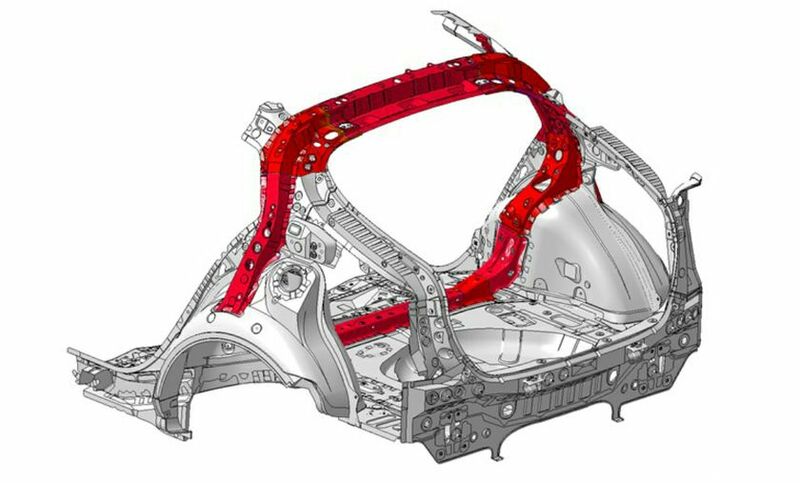 The result is a distinctive outline that instills the next-generation halo eco-car with a unique presence while also being functional in ensuring ample head clearance for occupants and helping to achieve an exceptional drag coefficient of 0.24. Furthermore, the nose has been lowered by 70 mm, while the rearmost section of the cowl and hood has been lowered by 62 mm, improving front visibility. Bi-Beam LED headlamps provide both high beams and low beams in a single lens with a robustly distinctive design. Meanwhile, the curved, triangular LED clearance lamps make their own striking impression. At the rear, distinctive character lines and a coordinated LED lamp design add to the car's emotional appeal and distinctive hybrid presence. The overall impression is a firm, planted stance achieved with an upper beltline and prominent rear spoiler that connect with corner edges for more efficient aerodynamics. Staying true to the core concepts of the Prius, Toyota has produced an occupant-friendly interior that focuses on ease of use, with a design that aims to evoke the car's advanced capabilities while remaining warm and welcoming. The instrument panel, with its thin, horizontal design and smooth surfaces, consolidates operational areas near the driver and places information areas further away. This creates a spacious and comfortable area for front-seat occupants, and gives the cabin itself a unified feel that embraces and engages with occupants. Both the steering wheel and the front console tray are highlighted by a white accent that stands out and adds warmth and flair to the advanced design. In order to minimize discomfort during long drives, Toyota has totally redesigned the Prius' seats. In the front seats, improvements to frames and cushion bolstering have enhanced comfort while saving weight and space, providing a 'snug' fit and chiropractic control, while the seatback springs have been moved rearward for optimal occupant posture. As a result, pressure on the lower part of the pelvis is reduced and dissipated broadly, thereby alleviating stress on the lower back and muscles. The cushioning in the rear seats has also been optimized, with the seating area widened to mirror the improved comfort of the front seats. Although the car's height has been lowered, there has been no sacrifice in terms of cabin space―in fact, the fourth-generation Prius offers more headroom than previous models. 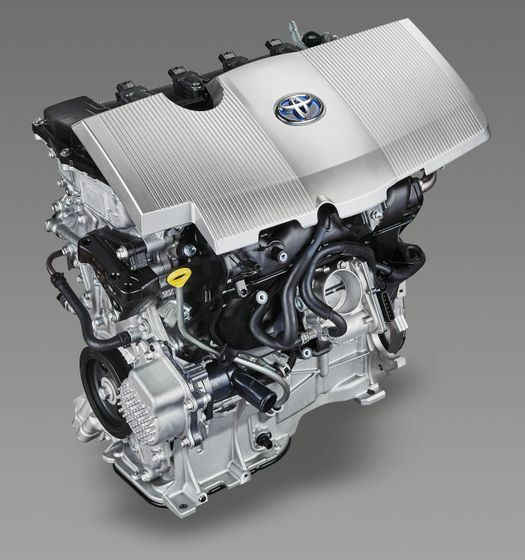 The Prius retains its 1.8-litre VVT-i equipped Atkinson cycle petrol engine (2ZR-FXE), which is perfect for highway driving needs. 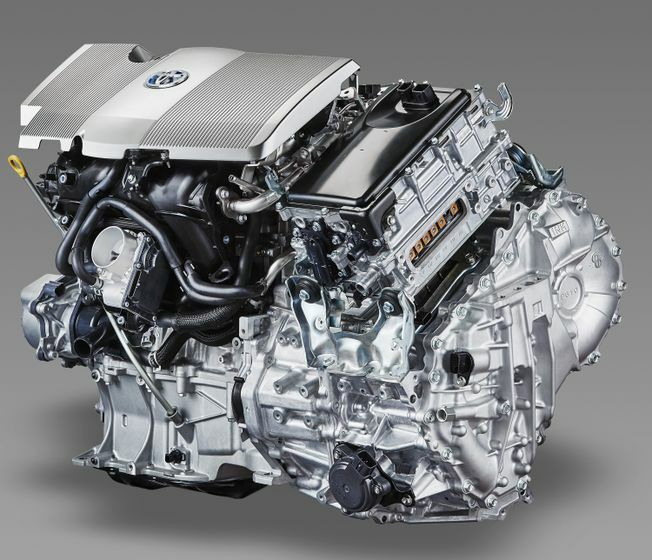 Yet, the engine has been completely re-engineered, with remarkable results in terms of performance, fuel economy, and reductions to size and weight. 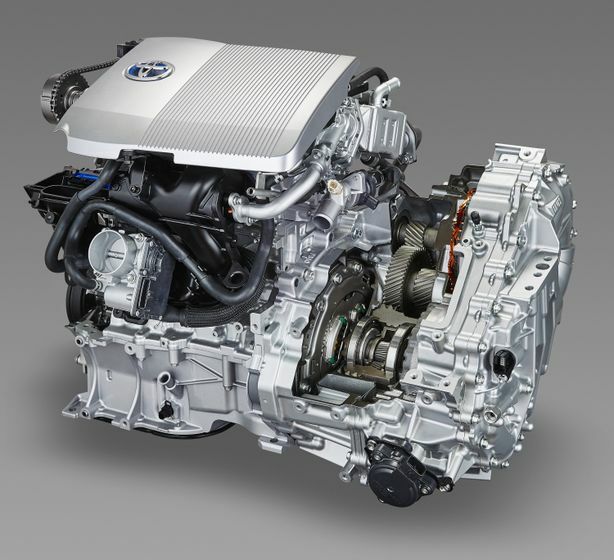 The new engine achieves a maximum thermal efficiency of 40 percent―the world's highest level in a mass-produced gasoline engine (as of October 2015, according to in-house research). This improvement was enabled in part through the use of a large-volume exhaust gas recirculation (EGR) system and improvements in combustion efficiency. Additionally, a redesigned air intake port improves airflow inside the combustion chamber, while the coolant passages have been redesigned to optimize internal engine temperature. The friction created by the piston skirts, rotating parts and the oil pump has been reduced, while the use of low-viscosity oil reduces friction between sliding engine components. 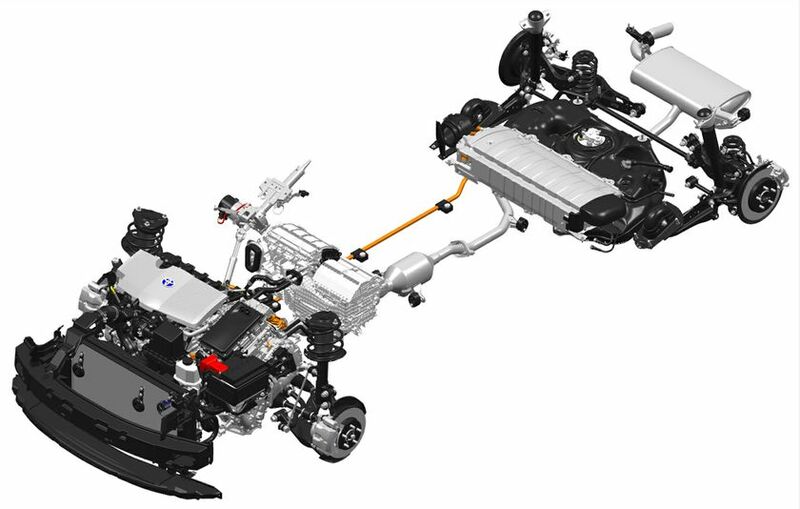 Key components of the hybrid system―including the motors, transaxle, power control unit and hybrid batteries―are now smaller and lighter, improving fuel efficiency and making excellent use of space. 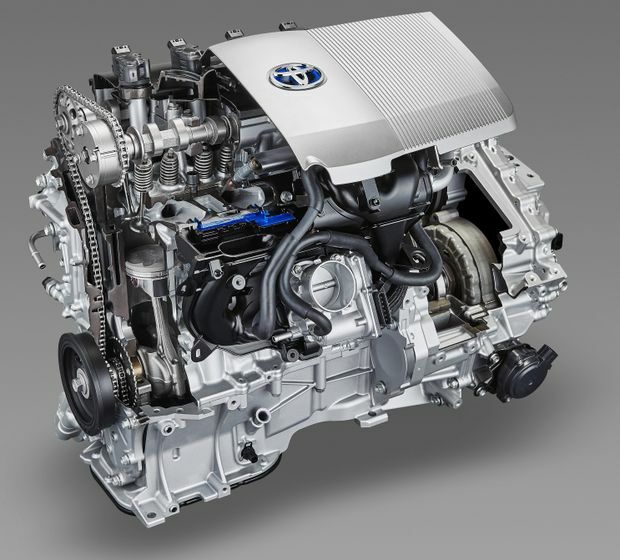 The transaxle also boasts a more compact design, and achieves approximately 20 percent loss reduction compared to the current Prius. This was made possible due to multi-shaft positioning of the motors, along with the relocation of the final drive reduction gear onto the same axis as the drive motor. 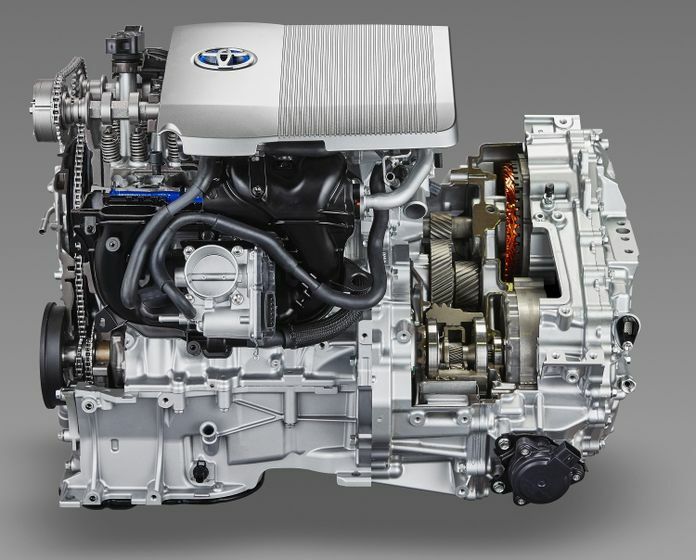 The two all-new motor-generators in the Prius boast higher output density, with size and weight reduced to suit the multi-shaft transaxle design without affecting fuel economy. Both motors feature an innovative rolling-coil structure. 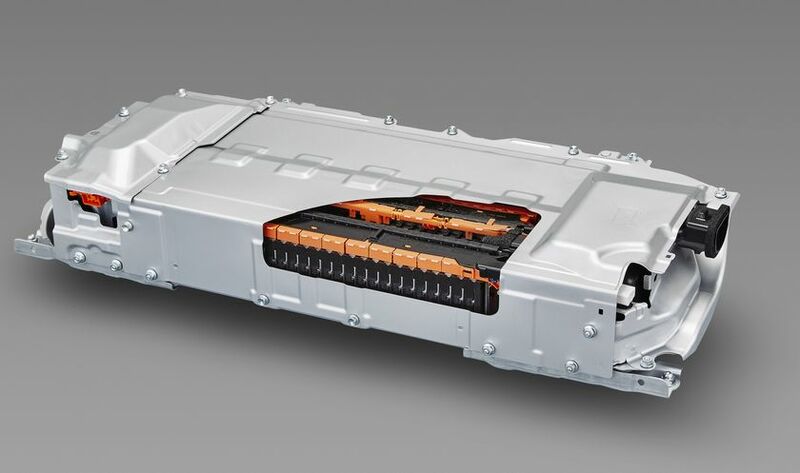 Improvements to the power control unit, including the use of low-loss components, have resulted in a 20 percent reduction in electrical losses, and a more compact design enables the unit to be positioned directly above the transaxle. The auxiliary battery has been relocated from the luggage area to the engine compartment. The relocation of the hybrid batteries to the space under the rear seats also increases the capacity of the luggage area by 56 litres, bringing the new total to 502 litres (behind rear seats). 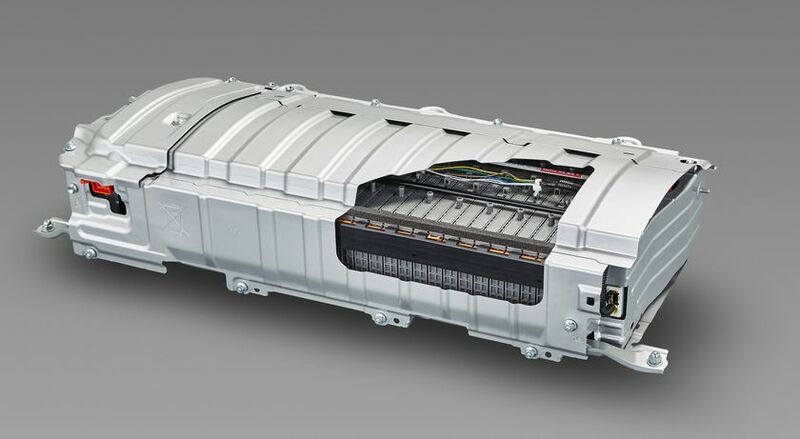 For the first time, the Prius has market-specific hybrid batteries―either Nickel-Metal Hydride or Lithium-ion. Positioned under the rear seats, these high-performance, compact batteries contribute to improvements in fuel efficiency. Fuel efficiency is also boosted by improvements to heating performance. An automatic grille shutter has been added to open and close the grille as necessary in response to outside temperatures. The exhaust heat recirculation system has also been improved and made more compact. This recycles exhaust heat from the engine into the coolant to be reused in the heaters and to warm the engine. 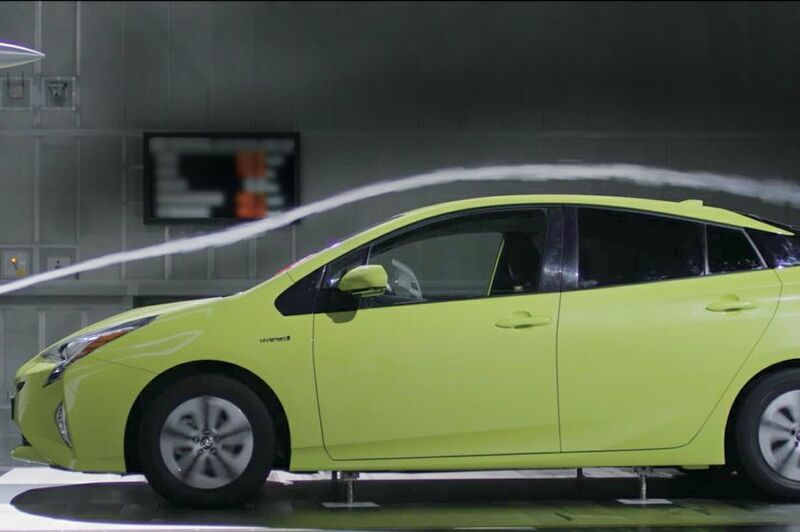 The new Prius' centre of gravity is lower than the current model, resulting in exceptional stability and minimal sway during driving. Through TNGA, body torsional rigidity has been improved by more than 60 percent compared with previous models, due to the use of Laser Screw Welding (which allows for welds at shorter intervals along the frame compared with spot welding), structural body adhesives, and the use of ring-shaped frame structures. These improvements combine to produce a firmer, more stable ride. 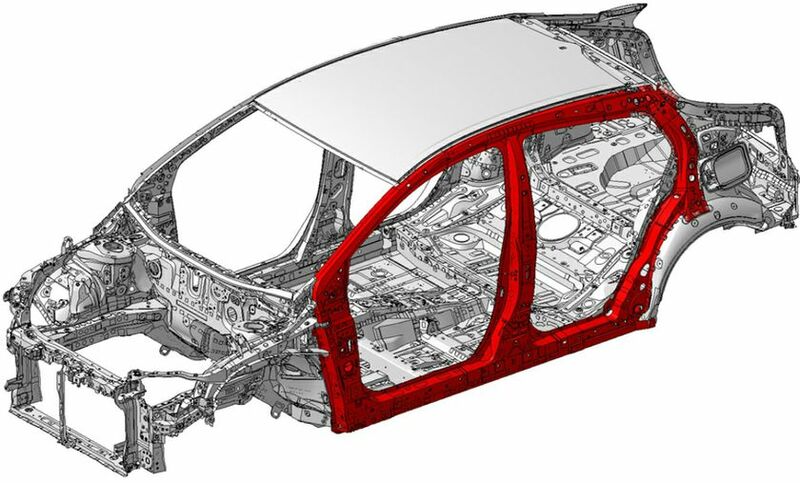 Toyota has increased the amount of high tensile strength steel plate (using strong, lightweight hot-stamp materials with tensile strength of at least 980 Mpa) from three percent in the current model to 19 percent in the new model. Additionally, the new Prius body was designed to meet Toyota's most stringent safety benchmark yet, the Global Outstanding Assessment. This results in a light and stable frame with class-leading collision safety performance. 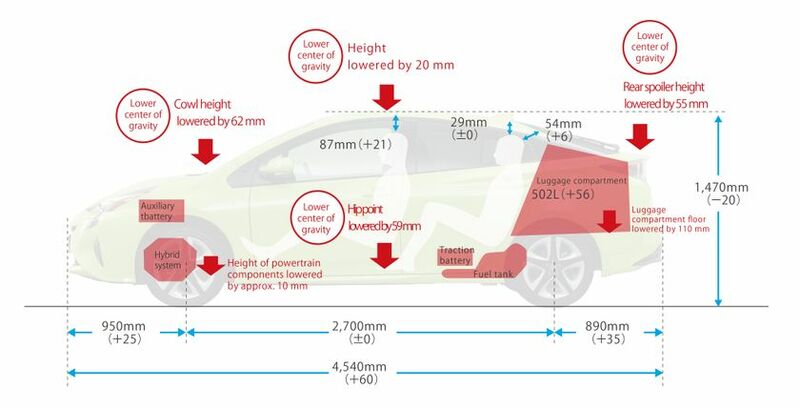 Driver and passenger hip points in the Prius have been lowered by 59 mm, combining with optimized placement of the steering wheel and pedals for a more natural and comfortable driving position which minimizes fatigue and improves operability. 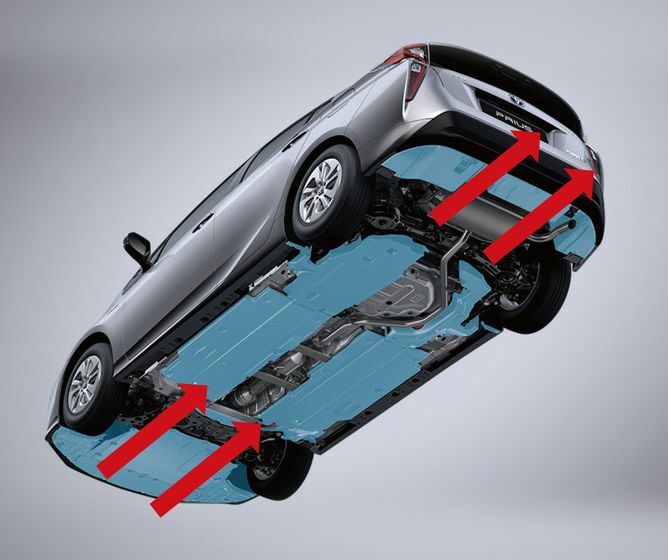 Toyota has developed an all-new double wishbone rear suspension for the Prius to provide new levels of handling stability and ride comfort, including a significant improvement in wheel-wheel impact shock damping. The rigidity of the body suppresses vibration and noise, while Laser Screw Welding allows for further noise elimination throughout the vehicle by decreasing the distance between welded joints. Improvements can be felt from the windows and doors to less obvious areas such as the floor and ceiling, making for an exceptionally quiet ride. New updates to the Prius' hybrid system software improve the feel of acceleration, giving a smooth and direct response in a lower rpm range. Toyota has added a new feature to enhance the driving experience when Power mode is selected. An adaptive system continuously monitors the acceleration pattern and lateral G-force readings to determine if the driver is adopting a more enthusiastic driving style. This system will then adapt and implement a sportier acceleration and deceleration. 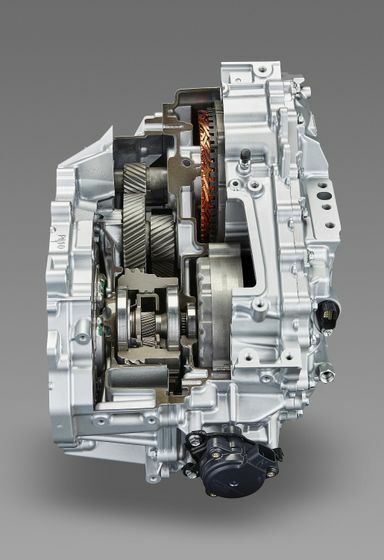 To improve brake feel and control while reducing noise reduction, the all-new Prius utilizes a newly-developed active hydraulic booster for its regenerative brakes. Toyota Safety Sense P, a collision avoidance and mitigation package available on the all-new Prius, combines a camera and millimeter-wave radar for outstanding performance and reliability. Toyota Safety Sense P integrates four of Toyota's existing active safety technologies: a Pre-Collision System that can detect both pedestrians and vehicles, Lane Departure Alert, Automatic High Beam, and Radar Cruise Control. Intelligent Clearance Sonar plays a support role in collision avoidance during low-speed maneuvering regardless of accelerator or brake pedal operation, and reduces damage resulting from collisions. Safety is further enhanced through a warning function which uses ultrasonic sensors on the side of the vehicle to alert drivers of possible collisions when turning right or left. Drivers can also take advantage of Toyota's newly-developed available Simple Intelligent Parking Assist, which uses ultrasonic sensors to detect surrounding objects and identify parking spaces. The driver stops the car before an open parking space and, at the push of a single button, the system guides the driver to the correct position for reverse parking and aids in backing into the space. The accuracy of this system has also been improved, and objects can be detected by the ultrasonic sensors even if the rear camera fails to do so. The Prius also features an available Blind Spot Monitor developed by Toyota to warn the driver if there is a vehicle on either side when making a lane change. The driver is alerted to the presence of a vehicle in the blind spot by illuminating LED indicators in the relevant exterior mirror. 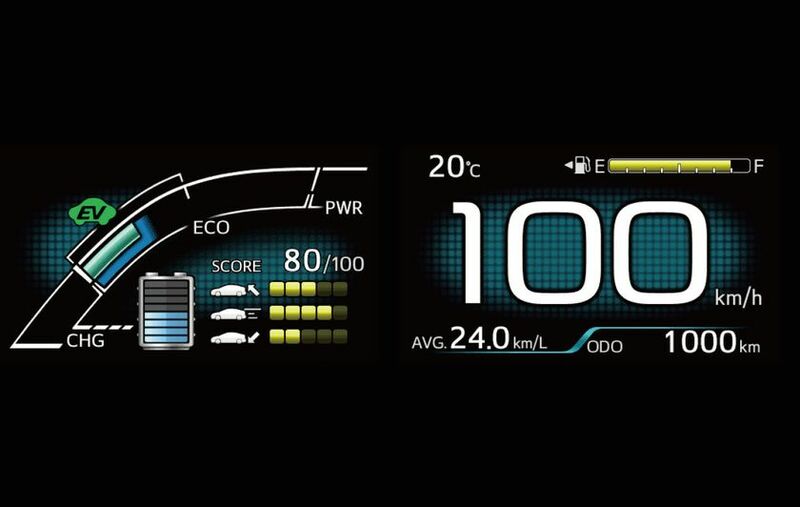 The new-generation Prius offers a unique instrument cluster featuring two high-tech 4.2-inch full-colour thin-film transistor (TFT) LCD screens with convenient, easy-to-read displays. The right-side screen indicates speed, fuel levels, and other basic data, while the left-side screen is a Multi-Information Display (MID) operated by switches mounted on the steering wheel. A Head-Up Display (HUD) ― available full colour for the first time in a Toyota vehicle―projects the car's speed and other alerts onto the windshield to minimize shift in the driver's field of focus. The steering wheel features synthetic leather with temperature-regulating properties, providing a pleasant, comfortable feel. The S-flow air-conditioning control automatically focuses airflow only to areas where people are seated to maximize comfort and fuel economy.